As Gulfood enters its fifth year, the team behind the fast-rising Dubai industry showcase believe 2018’s trade fair is set to be a particularly memorable one indeed. 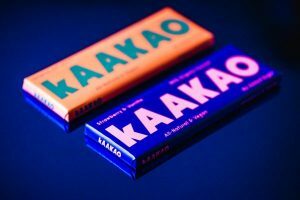 One of its core elements will involve unveiling some of the latest technology relating to a number of sectors including confectionery and bakery markets. The event takes place at the Dubai World Trade Centre between 6-8 November, and will be fully supported by the Confectionery Production team. 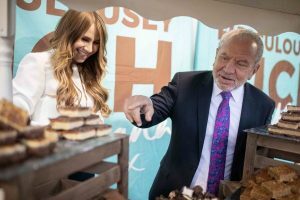 A number of leading companies operating within the confectionery sector will be returning to the event that will make it a global platform for the industry. This includes Germany’s Theegarten-Pactec, Buhler, GEA, TNA, Ecomec, Bosch Packaging Technology and Italian-based Cama group. Across its three days, more than 1,600, local regional and global suppliers and service providers from across 60 countries, with results from last year’s show revealing it had proved its most successful to date. This was underlined by its highest visitor figures, posting more than 35,000 industry attendees. This year’s event is set to have an added spotlight, given the recent announcement that the UAE is examining plans to build it own ‘silicon valley’ of food production technology in response to increasing demand from consumers and the rising costs of importing goods. Mark Napier, exhibitions director, offers some valuable insights into what to expect from this year’s event. Q: What makes Dubai a great host city for the event, and how are the preparations for the trade fair going? A: Dubai’s strategic geographical position and importance as an export and re-export hub and gateway between East and West, geopolitical stability and a visionary government that is committed to public spending and infrastructure development, means it is the ideal host city for an event such as Gulfood Manufacturing. Suppliers from around the world have their eyes fixed on the Middle East, where cross-sector demand continues to climb. Preparations for the fifth Gulfood Manufacturing are well into the final stages and we’re ready to welcome more than 1,600 local, regional and international industry players from 60 countries as well as decision makers and industry professionals across 80,000 square metres of space in 16 halls at Dubai World Trade Centre. Q: With around 1,600 exhibitors expected for this year’s Gulfood Manufacturing, what are the key innovations you will be expecting to see for 2018’s event? A: Gulfood Manufacturing consistently sets the benchmark for the food and beverage manufacturing sector region-wide and beyond and the 2018 edition will once again set the tone. Serving as the perfect conduit between innovative exhibitors and manufacturers seeking more efficient solutions to meet constantly-evolving consumer demands, the event will showcase the latest ingredients, processing, packaging and logistics solutions to solve production, capacity and automation challenges. As a 360-degree solutions platform, the event will have four key features: A Big Buyers programme, where up to 2,000 approved buyers are hosted; innovation tours, which provide deep insights into artificial intelligence, machine learning, blockchain and robotics; Gulfood Manufacturing Industry Excellence Awards, which will recognise and reward best practices and innovation within the food manufacturing industry value chain, judged by a panel and industry experts and an inspiring and probing business conference, titled ‘The Food Tech Summit’. The four features have been integrated to strengthen the event’s position as the vanguard of F&B transformation. Q: What are the most significant challenges in staging the event each year? A: One show-specific challenge is ensuring the event continues to serve as the link between buyers and suppliers with crucial direct access. Sectorisation of the show has allowed us to achieve this, and it is something we keep refining, while the Hosted Buyers Programme facilitates the correct relationships. One of the challenges facing the entire food and beverage manufacturing supply chain is constantly evolving consumer preferences and an increasing demand for healthier food options, cleaner, natural packaging, delivered in an efficient and effective way. Manufacturers must innovate with their products and services or risk being left behind. With the region taking on a greater role in manufacturing, there are growing opportunities for companies to better understand the needs and demands of consumers. Another key challenge facing the industry is the increasing use of e-commerce, new technologies and applications. Organisations must embrace the change. Gulfood Manufacturing is the place to be for market players to find the solutions that will help meet those challenges. Q: There has been much focus across industry on the impact of industry 4.0 and the Internet of Things – how important will that be to this event? A: The 4th Industrial revolution, or Industry 4.0, has triggered an increase in demand for improved efficiencies, utilising higher grade technology. Reflecting the show’s position at the forefront of sector innovation, the Gulfood Manufacturing 2018 Conference series programme will adopt a multi-audience approach combining elements that speak to both producers and suppliers. The series will set the agenda for the industry’s next direction from the opening, with deep insights into the future – near and far. The opening session will focus on the ‘Factory of the Future’ and a look at how the 4th Industrial revolution is helping to redefine the industry. The talks will pose the challenging questions of competitiveness and suggest steps required to keep the regional industry relevant in the digital era. The Innovation Tours, meanwhile, will serve as an early alert system for the industry’s future with participants taking in examples of robots working among humans at production lines, or high-speed machines with capacity to churn out bags at 200 units per minute. Q: Packaging equipment has been one of Confectionery Production’s major focuses – what can visitors expect in Dubai this year? A: Packing is one of the show’s five key show sectors, alongside ingredients; processing; automation & controls, and supply chain solutions. Visitors from the packaging sector will find the latest in upgraded packaging solutions and cleaner more natural designs in line with the growing number of consumers who are taking greater interest in their environment impact. The sector will showcase exhibitors offering the full spectrum of solutions including coding and marking, converting equipment, conveyors, packaging materials, pallet staking machines, vacuum processors, flexible packaging and much more. Q: For future events, how do you look to refine the experience for visitors? A: The show team consistently looks at how we can refine and enhance the experience for visitors. With more than 35,000 visitors attending Gulfood Manufacturing, we have a dedicated team that canvasses for feedback from visitors. We listen and analyse the feedback and look at how we can modify what we do in order to ensure the best visitor experience we can. It is a never-ending process and is important, much like the industry, that we keep innovating and moving forwards to meet the demands of visitors and exhibitors.